IPOPI is releasing today its first patient testimonial video. Jose Drabwell, Common Variable Immunodeficiency (CVID) patient and IPOPI President is the first one up with a very positive message. 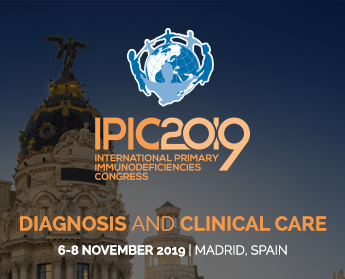 During this week a total of 5 videos devoted to the benefits of early diagnosis and treatment will be published on IPOPI’s YouTube page and also on Facebook and Twitter. Stay tuned for testimonials from a Chronic Granulomatous Disease (CGD) patient, from a mother of an X-Linked Agammaglobulinemia (XLA) patient and more. In the upcoming weeks more videos will follow on the topics of individualized treatment and burden of treatment. The IPOPI patient testimonials videos were supported by a Grant from Baxter, rights and ownership of all films own by IPOPI.